Sounds realllllllyyyyyyyy familiar doesn’t it ;)? A big chop is a big chop, no matter what your race, texture, status. At least, that’s my take on it. We have more in common than we know. liberation, I don’t know what is. 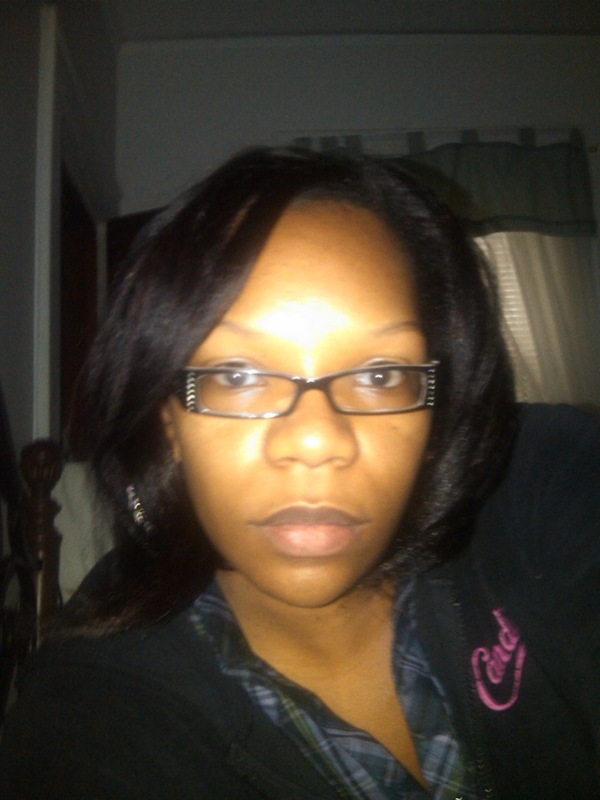 I am a 36, soon to be 37, embracing each year as they come, single mother of a 16-yr old beautiful daughter. Those who know me would say I am the life of the party … Put me in a room with new people and, by time the party is over, I will have everyone’s name and phone number in my Blackberry!!!! I am really bad at starting projects and not following through. 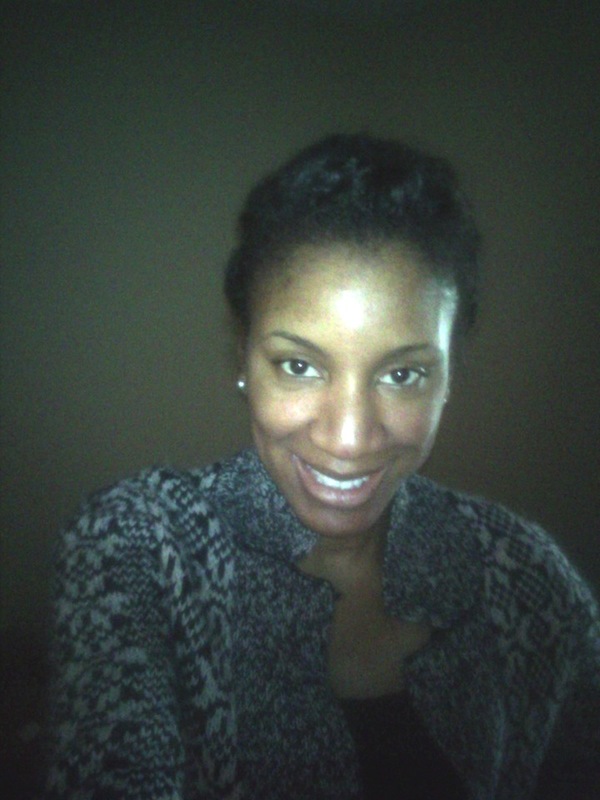 One of my main goals for 2012 is to finish at least one project, so I chose to go natural!!! Let’s see this to the end!!! 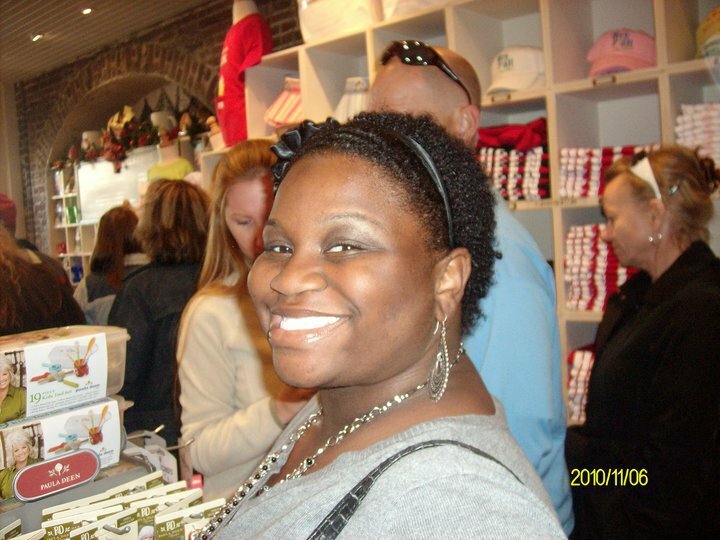 What prompted me to go natural is that my hair would always break. Then I would cut it all off and have a short hair cut and then it would grow back nice and healthy and start to break again, right in the middle of my head … #blankstare! What am I doing wrong? So, March 2012, I decided to transition. How long did you transition before you big chopped? I transitioned for about 3 months and, to no avail. My hair was still breaking, but only from the relaxed ends. So, I decided, “That’s it. I am done.” I discussed my Big Chop with my significant other, because I knew it would be an issue for him if I cut my hair … it wasn’t like my hair was down my back or anything. LOL. 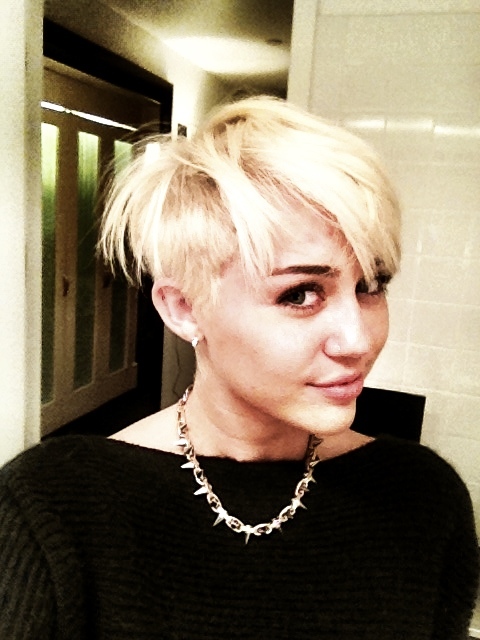 But, he saw that it grew a lot from my “Rhianna Cut” and he was ecstatic (that’s a man’s Mojo .. .long hair). So, after discussing the pros and cons of doing the “BC” with him and his approval, off I was to the salon. 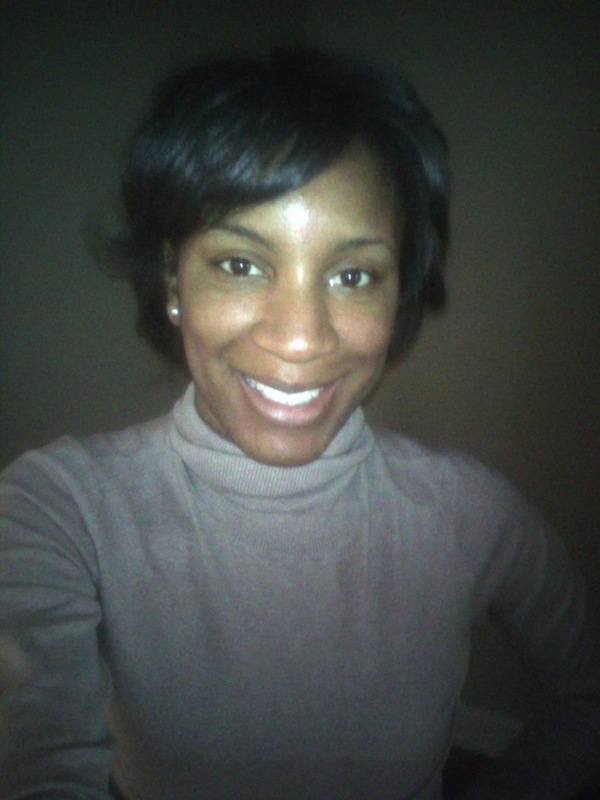 My beautician Sa’Rah (www.tressesbykaysarah.com), who is the best, cut off the permed ends. Woohoo I did it!!!! JUNE 14th – BIG CHOP!!!! How did you feel immediately before and after the Big Chop? Immediately after my BC I was like, “wow.” I mean, I have always had a short cut, but it was always styled and relaxed. What I had was a TWA. I was nervous and anxious. 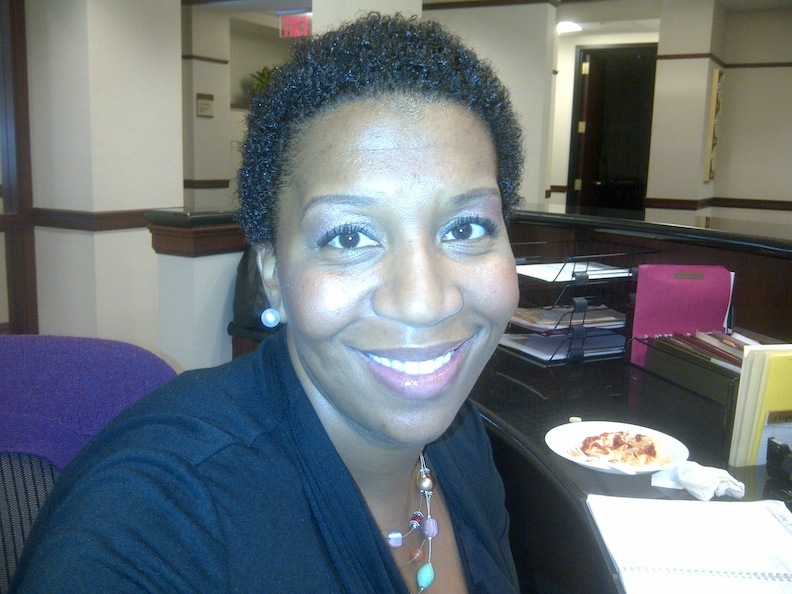 I knew it would grow fast without chemicals but, my first reaction was, “How are my co-workers at the firm going to view me?” I hopped out of the chair, put on some lip gloss and said, “I will own this TWA.” Out the door I went with confidence. As I got close to home, I said, “OMG, he is going to pass out” (“he” being my friend). But, he was very laid back and said, as long as there is no weave up in my head he is happy! What is your current regimen? Go to products? My current regimen right now is co-wash every 3 days. I use Carol’s Daughter Daily Leave-In Condition Spray, As I am Moisture Milk at night, and Miss Jessie’s Curling Pudding in the a.m. I have not chosen a new shampoo yet, narrowing it down to As I am shampoo and conditioner or Carol’s Daughter shampoo and conditioner. I also wear a satin bonnet at night and every 2 days I wear a shower cap (bagging) for extra moisture. Still learning “natural terms” and also still doing some research on the best scalp treatments. What are your hair plans and goals? My hair plans/goals are to have healthy hair. It does not need to be long, just healthy. Don’t want any shedding or breakage. 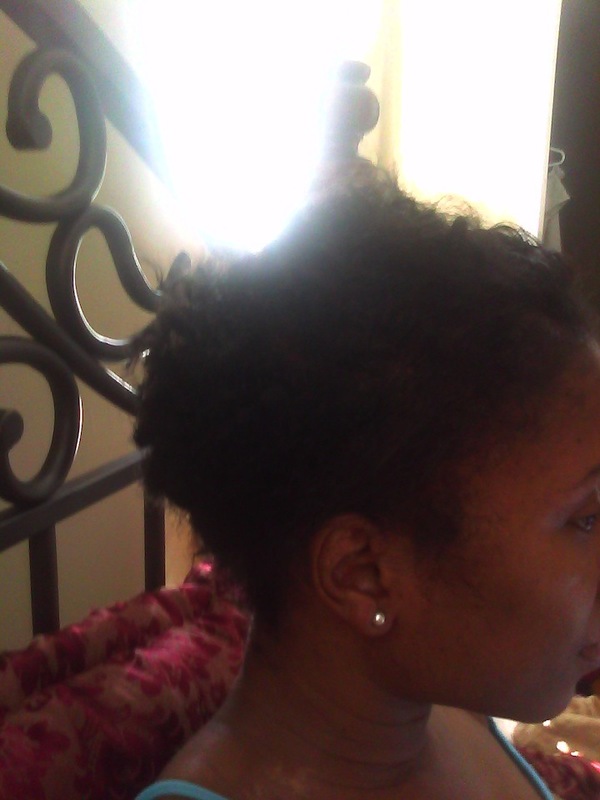 Thursday, June 28th will complete 2 weeks since the big chop. I cannot wait to measure my progress. 2 weeks ago I had 1 1/2 inches of hair on my hair. Do you have a hair crush? If sho who and why? My hair crush is Traci Ellis Ross. I always loved Joan’s curls and how sometimes it was frizzy and she went with it. I hope my hair can grow that thick … hoping, praying and pre-pooing … hehehehehehehe! Who is your favorite natural blogger, youtuber and/or fotkier and why? 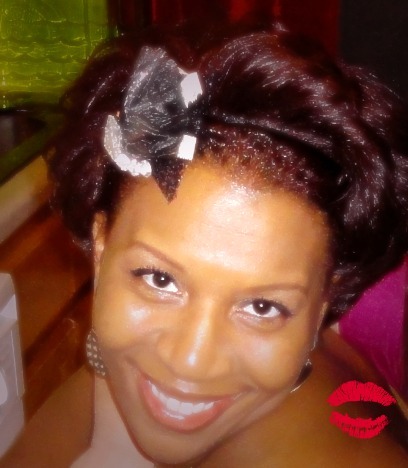 Right now I am following Hairscapades and CurlyNikki. Hairscapades is my favorite right now. I love Skillz hair!!!! I really love the fact that natural hair is so in!!!! 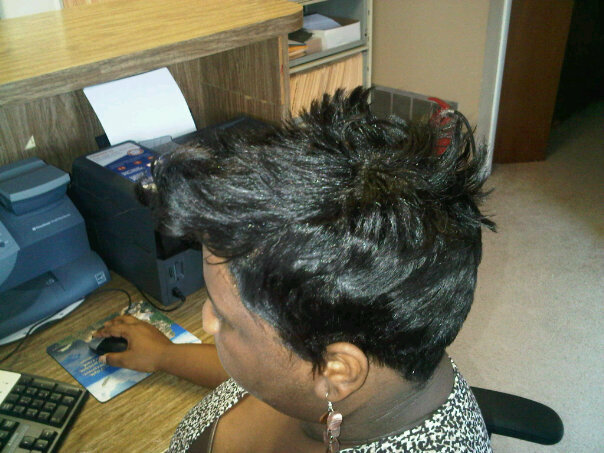 Women all around know instantly when they see you with the TWA and give you a thumbs up!!!!! It makes me hold my head up even higher!!!! Definitely can’t wait to henna … Can I do it with a TWA?????? Stay tuned for some updates!!!! 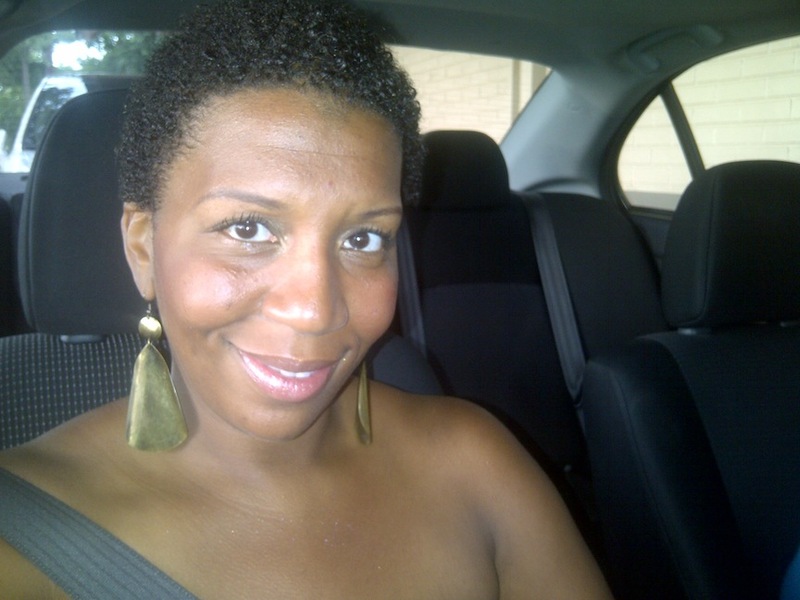 ETA: Thanks for sharing your Big Chop HairStory Norma! You look great! To answer your question, of course you can use henna on a TWA :). However, if you are contemplating experimenting with other color, I’d suggest holding off on until you are certain that you don’t want to get highlights or go lighter. Cassia is an alternative ayurvedic and natural hair treatment that works similar to henna, but won’t leave any color deposit that would cause problems if you wanted to lighten your hair at a later date. Remember, though natural, henna is permanent and red and it will not wash out. It can only be grow out. HTH! My name is Nicole. 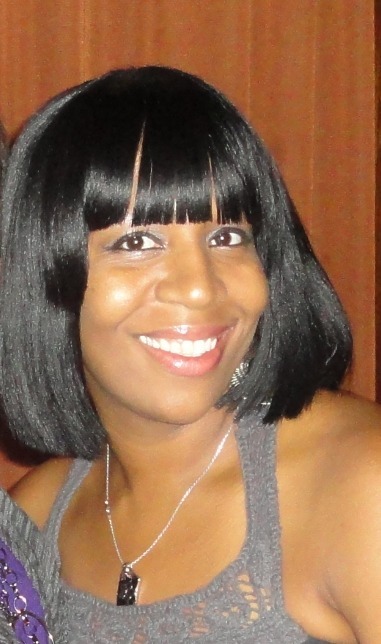 I’m a married mother of 3, who is quiet by nature, friendly, observant, loyal and an easy-going person. 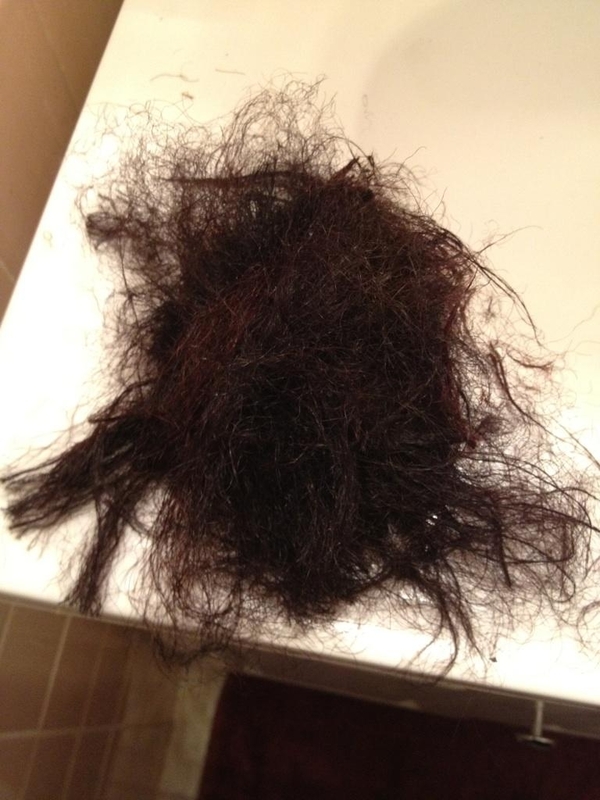 About 10 months after I had my first child, I experienced a lot of shedding. Then came the breakage along the left side of my nape area where it broke off completely. It felt like my hair was thinning and it was confirmed when I had to loop my the band around my hair 3 times when I put it in a pony tail. It was bothering me, because I had long hair for as long as I could remember. My hair is my crown and glory and I couldn’t understand what I was doing wrong. I incurred so much damage that my stylist had to cut my hair into a bob (first cut was chin length and the second cut was at the cheek) within an 8 month period. I didn’t know what caused the problem with my hair. I asked myself was it my diet or stress? So, in the meantime, my friend Tiffany was transitioning and I was contemplating with myself saying, maybe I need a fresh start, but I was still unsure. I told myself I would give it 1 year and then I’ll decide to either go natural or return back to relaxing my hair. When and how did you big chop? 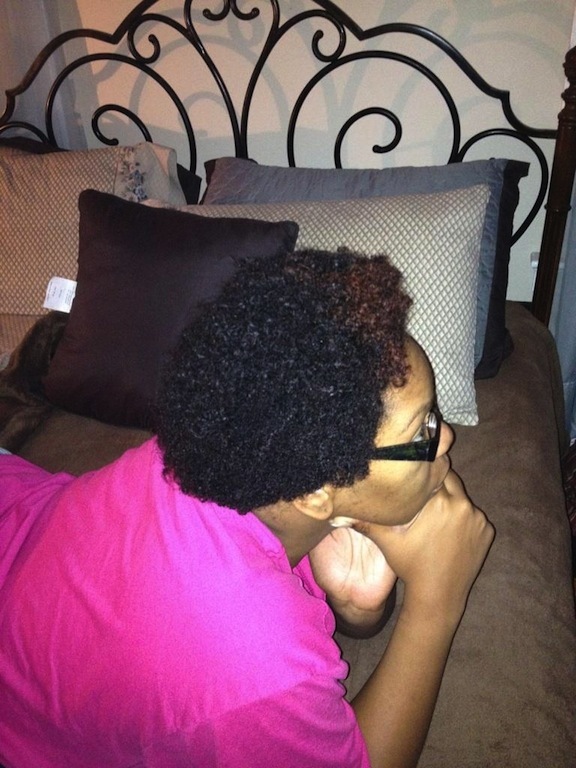 June 1, 2012 is when I did my big chop and I did it myself. How did you feel immediately before and immediately after your big chop? A mix of fear and excitement. My heart was pounding! In AWE. 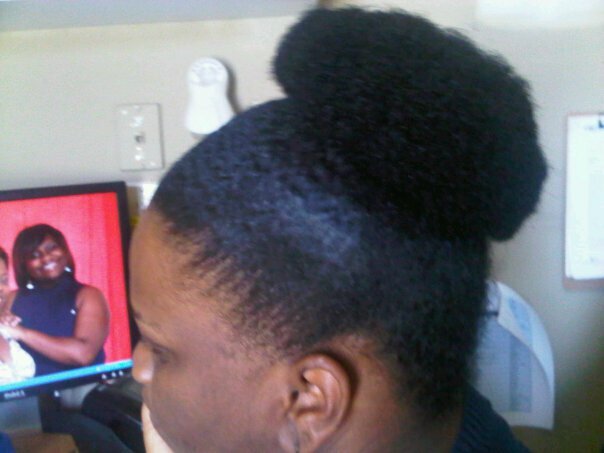 I never saw myself with a TWA. I’m glad that I never have to duck the rain or worry about limp, lifeless hair. This is the most spontaneous things I’ve done thus far. I’m still developing a hair care regimen and still testing different hair products, so I don’t have any staple products yet. So far, I DC once a week with my current DC, which is Sof’nfree Nothing But Intense Hair Mask. I co-wash twice a week with Suave Naturals Tropical Coconut Conditioner, then use a leave-in conditioner, either Cream of Nature Organic Lemongrass & Rosemary leave-in or Cantu Shea Butter Leave -In. What are your hair plans/goals? To retain length, learn how to style my own hair and find what products my hair likes. Do you have a hair crush? If so, who and why? Rachel True from the TV Show Half & Half. Her auburn coils are shaped so perfectly. Also, Tia and Tamera Mowry in their Sister, Sister TV show days. I always admired their hair. And Elle Varner; she has envious ringlets and volume. 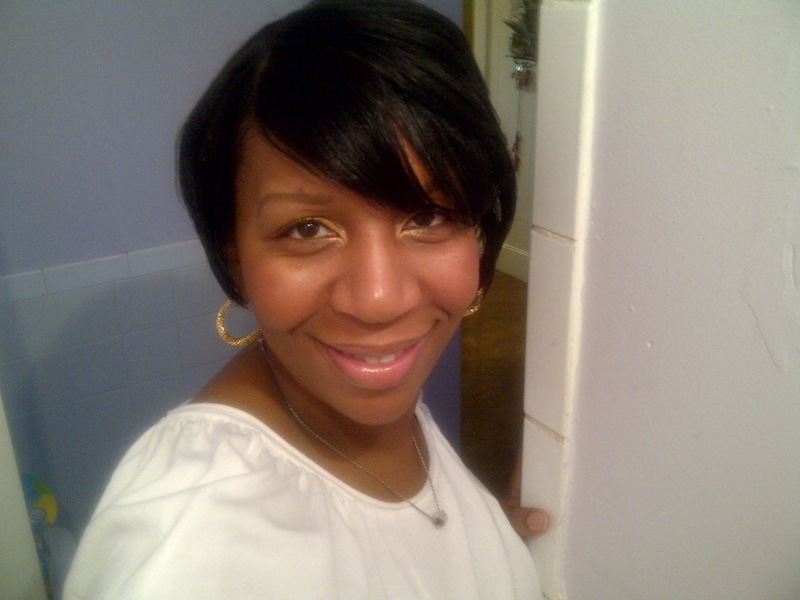 I watch Jazzybee445, she makes a great natural moisturizing spray. 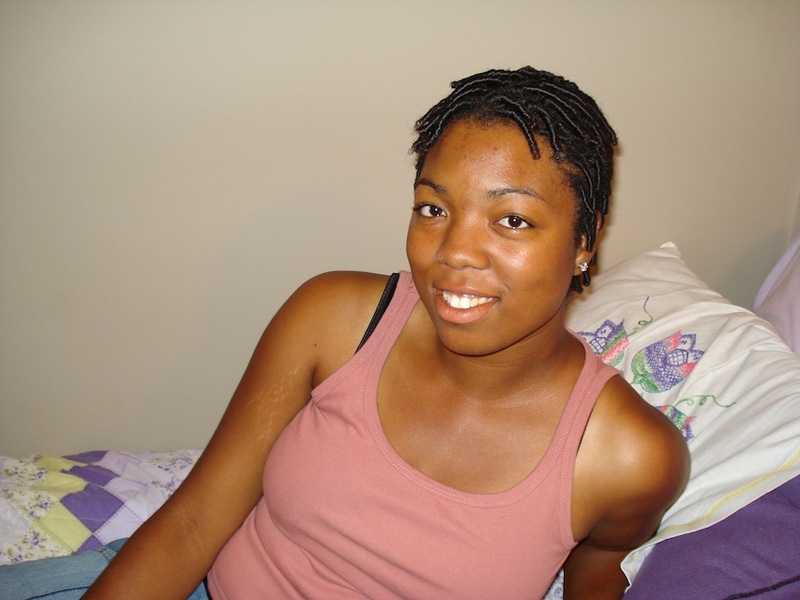 Naptural 85, excellent DIY hairstyles and tips. And Fgrogan. Although she’s not natural, she does long relaxer stretches. She’s quiet informative and has an inspiring hair journey. 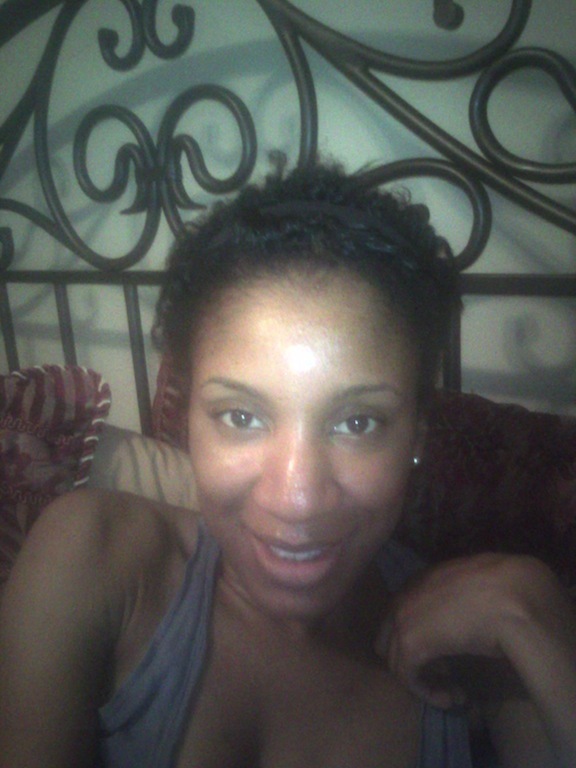 Also Curlynikki, and now Hairscapades, are my go-tos for information. Yes. I’m looking forward to a new beginning with my hair and also doing the same with my daughters’ hair. I hope to achieve my ultimate hair goal to be BSL. 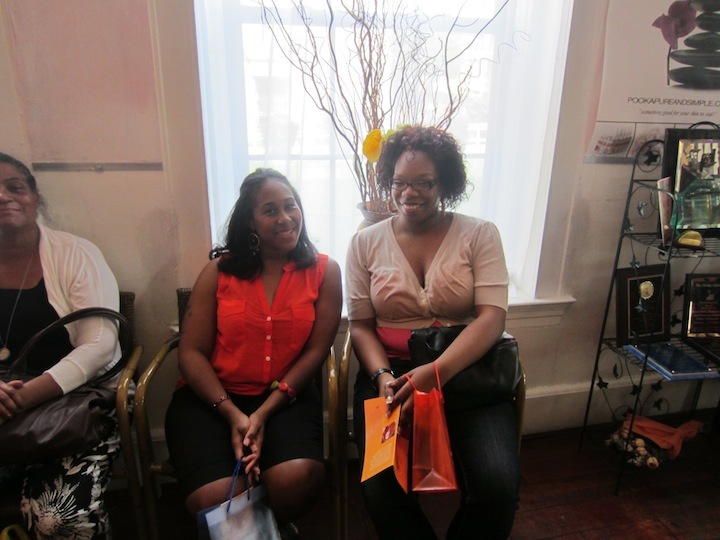 Also, I met you at the Meet-up at Pooka Boutique with one of my besties, Tiffany Millican. She’s been encouraging me to take better care of my hair and ditch the chemicals. My online name is Natural Beauty. 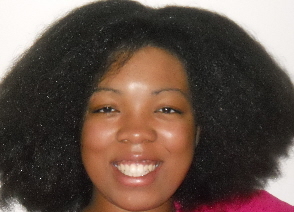 I am a mother, health enthusiast, writer and an activist for natural hair. Those who know me would say that I’m very strong-willed, opinionated and analytical. What prompted you to go natural? I had gotten bored with my bone straight hair and had even bought a crimper to make it look curly. I was still too scared to do the big chop. I believe what influenced me was seeing other people go natural and how beautiful their hair looked. I made the ultimate decision on a mission trip to Tampa, Florida. I lived in a poor neighborhood, was a counselor to the homeless and at-risk homeless and taught art to kids from low-income families for six weeks. It was then that I realized how vain I was being. 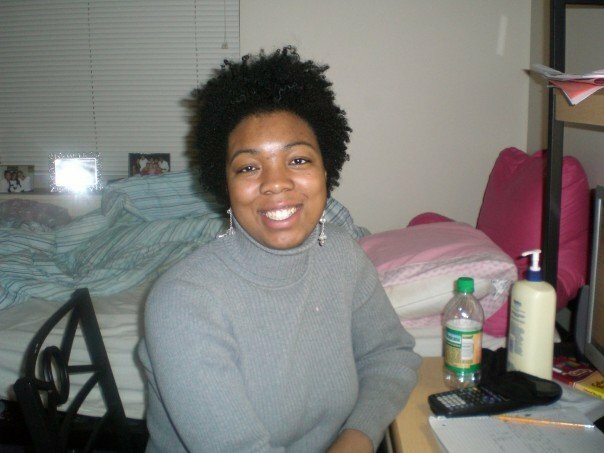 How long did I transition before I went natural? I transitioned for about six or seven months. I just got tired of the two different textures and went for it. I big chopped in January of 2006. I just went to a salon, had my permed ends cut off and the hair stylist styled my hair in coils. How did you feel immediately before and after your big chop? I have to admit that I was scared and thought that it would look ugly, since I have a round face. I had pretty long hair and cut off more than 9 inches. I just kept telling myself that it’s just hair and it will grow back, I could always return to a perm if I didn’t like it. Afterwards, I felt elated, free and confident. 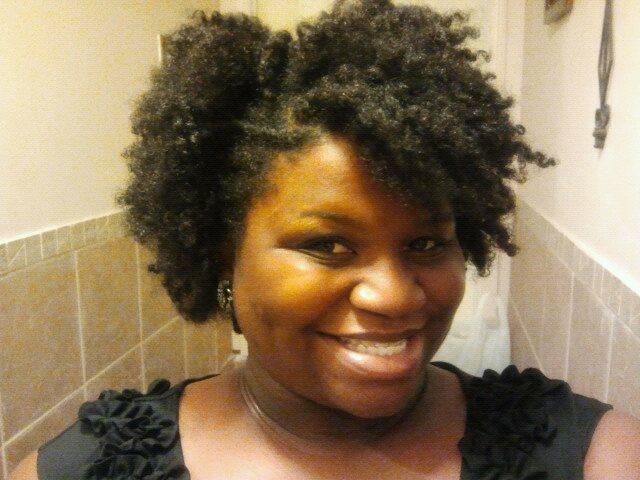 I had my hair styled in coils and it actually looked really cute on me. I still feel very confident, true to myself and I love my curls. Since the big chop, I’ve had the blessed opportunity to influence others to go natural and to love themselves. I just hope that I can continue to do that. I like to do hot oil treatments with either Moroccan oil or Khoret Amen oil from Carol’s Daughter every two weeks before a wash. Carol’s Daughter’s products are a staple for me. I also use the Tui Shampoo and Tui Smoothie for deep conditioning. I use Motions Wrapping Lotion and either Carol’s Daughter Hair Balm or Nubian Heritage’s Shea Butter with Goat’s Milk and Chai for my twist-outs. I also recently started doing henna treatments at least once a month. 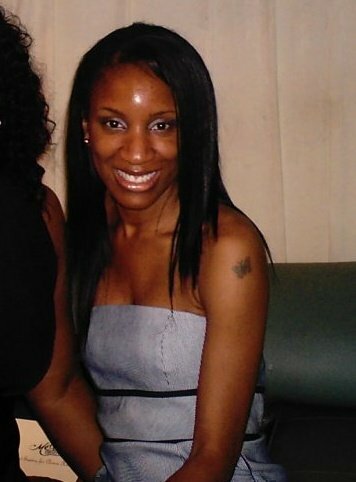 My number one goal for 2012 is to just keep my hair moisturized, because it has a tendency to get dry, and gaining more length and volume would be a plus. 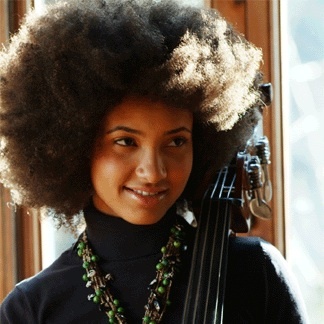 Yes, I love Esperanza Spalding’s hair because it’s so big and full. I want my hair to be like that. I feel like we have similar textures and, with some growth, I can realistically get there. Who is your favorite natural blogger, YouTuber, and/or Fotkier and why? My favorite blogger is Curly Nikki, because she just has so much useful information on her site. 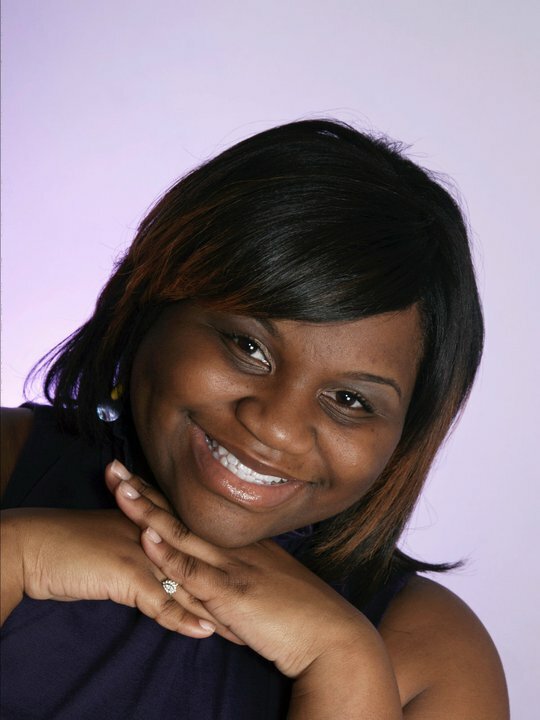 I’m just glad to be a part of the natural hair community and you can find me on my blog at www.celebrateyournaturalbeauty.blogspot.com. Thanks and I love your blog! 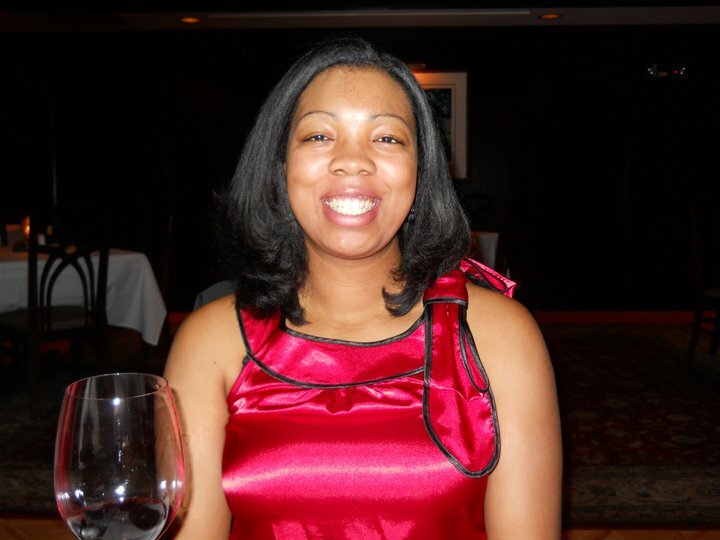 Remember Jen, transitioning marine and my blogging buddy from the CurlyNikki presents Kim Coles GOC?!?! Well, guess what?! She’s a transitioner no more!! Jen Big Chopped and she sent me the video, so that I could share her huge moment with all of you!! WOOH-HOOH!!!! Congratulations Jen!! You did it!! That ‘fro is nice!! Graceful, kind, loyal, authentic, eclectic, versatile, 29.5 years old, beautiful, intelligent, smart, professional, bright, wise beyond my years (according to everyone), delightful, momma, daddy, grandma, auntie and uncle’s girl. Nice to meet you. I am Alicia. May I ask your name please? Lol! If I remember correctly, I was about 7-8 years old. Young, huh? But you couldn’t tell me ANYTHING then. I was the “business” in my head! 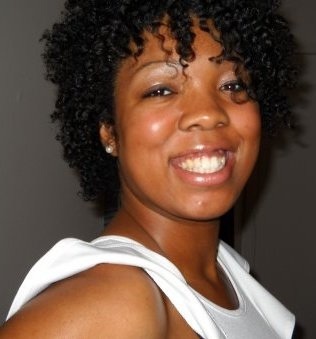 My hair was long and breaking off as the relaxer touched my scalp, I believe. Lol! One word. Eczema. On my scalp. A serious scalp condition that made my head sooo tender and thin. My dermatologist told me, “NO more relaxers, NO color, NO excessive heat.” Isn’t it amazing that things work out for the good of those who trust the universe? I’m grateful for that experience because it made me look at my overall health condition and the harmful things I was doing to my body that we incorporate into our everyday routine :). Were you a long-term or short-term transitioner and why? Short term. 3 months. Not that I didn’t try before. But, of course, that was short lived (only because my money wasn’t right for a couple weeks). Lol! As of now, it’s been 4 months since doing my final and last ends cut. Chop! Chop! “I’m going to be bald.” I couldn’t see the light. I honestly thought my hair would be a TWA (teeny weeny afro) for the remainder of my life. And it was teeeeeeeny. Like a little longer than a boy cut. I was sooo ashamed. That’s why I don’t have pictures. 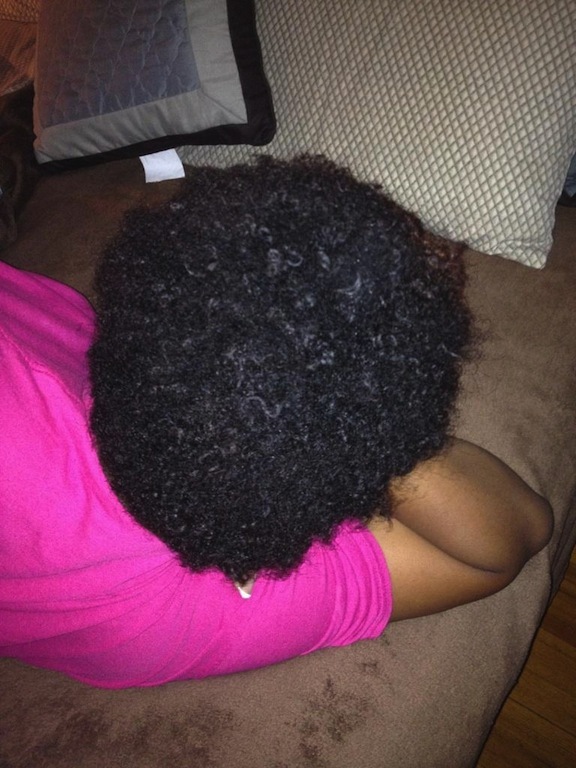 I have a great texture of hair (as I believe that all textures are good textures. Some just easier to manage than most, but great all the same.) My visit to the dermatologist left me very afraid. I didn’t know what to do with it at all. For now, until I absolutely learn my hair and make sure I properly take care of my scalp, I wash and co-wash every other week. 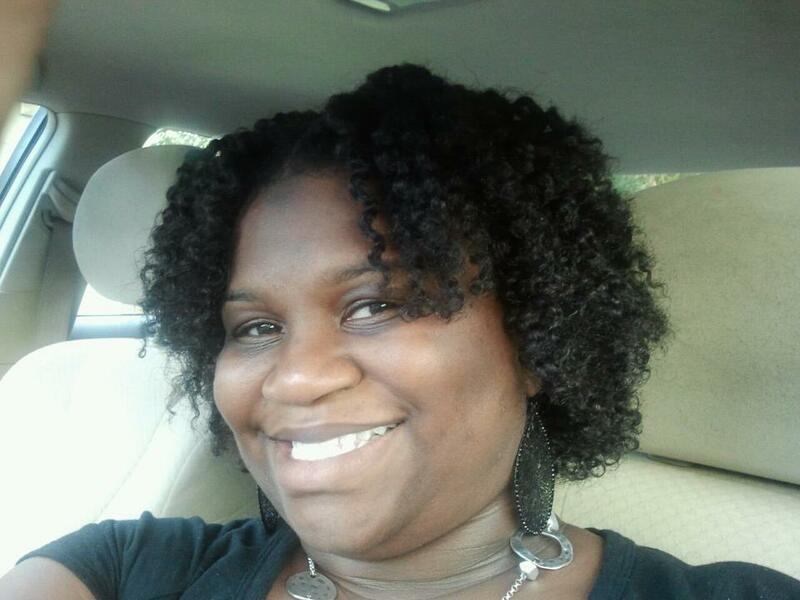 My hair loves Shea Moisture products. They make a product specifically for eczema and other scalp conditions. I wash with their shampoo and conditioner and moisturize with their Coconut and Hibiscus Hair Milk. I use their Coconut Smoothie and finally seal with shea butter. During the week, I use shea butter and natural oils to keep my hair moisturized. And thank you Spirit Master, I have a little length. What is your staple hairstyle? For now, until I achieve my length goal (my hair is a little longer than a teeny weeny afro), I’m consistent with flat twists, twist out and twist out pin-ups (that is what I call them). Pin up bun ... my faaavorite! What techniques/products did you use to manage the demarcation line between your relaxed and natural hair? I did a lot of top buns and used anything, bad and good, until I did some research on how to best take care of my hair. 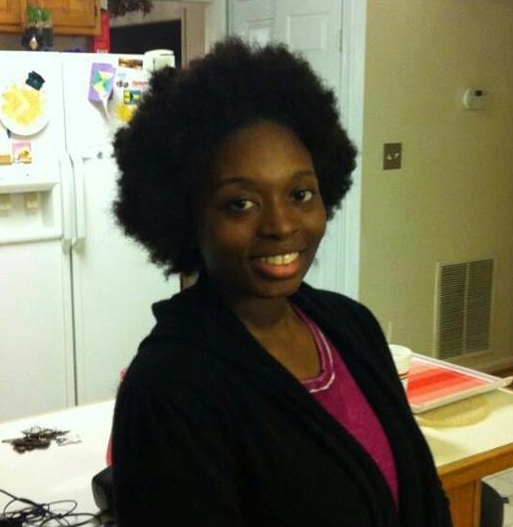 During the final transition, I blended with twist outs, flat irons and hats. What is the most challenging part of transitioning and how did you overcome or cope with it? Transition flat iron before final chop. Well, apparently, I’m sexier with natural hair? Ummm, huh? Lol! But I agree with the guys. I love what it does for my features. My “guy” friend told me, “I love what you’re doing with your hair.” Family and friend support helps. I’m also very creative with styling. Transitioning made me value the consumption of water. I try to drink at least 60 ounces of water a day and I cannot WAIT to henna. 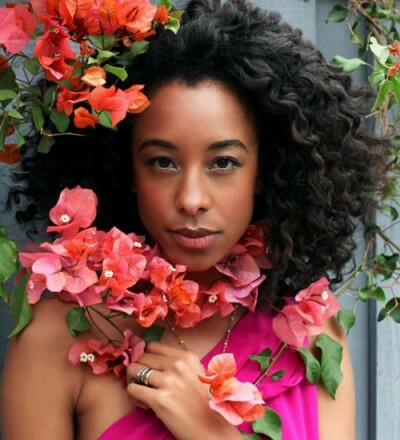 Corrine Bailey Ray. Drives me hair nuts. I stay on top of Curly Nikki and NaturallyCurly. Curly Nikki just does it for me though. Whooo! Loving on her! She is soo helpful and encouraging. And we are both petite, so I feel pretty okay about my hair if it gets bigger and bigger and bigger. And did I mention? … BIGGER! What advice would you give someone who is contemplating going natural and/or becoming discouraged with their natural hair journey? Just as you are patient when waiting at the post office, coffee shops for your favorite latte, or patient with falling in love, be just as patient with your hair. We tend to want to obtain overnight results, but even trees have to plant their roots strong. You are beautiful. Make-up or no make-up. Petite or thick. Short hair or long hair. Perfectly natural curly hair or relaxed. Regardless of what decision you make, ensure that you are comfortable with you. Thank you for letting me share my story. I hope to come back in 6 months with more length. Love you guys. My name is Marva. I am a laid back type of girl. I love spending time with family. I am enjoying life and all that it brings. I love meeting new people and I have a special place in my heart for the youth of today. I love learning new things and expanding my horizons. I embrace every quirky thing that makes me different and I LOVE MY HAIR (the good, bad, and unusual). My hair has always been thick since I can remember, but it started to thin a little around the crown. I had been relaxed since about the age of six or seven. I can say that my hair was always healthy until about 2 years prior. 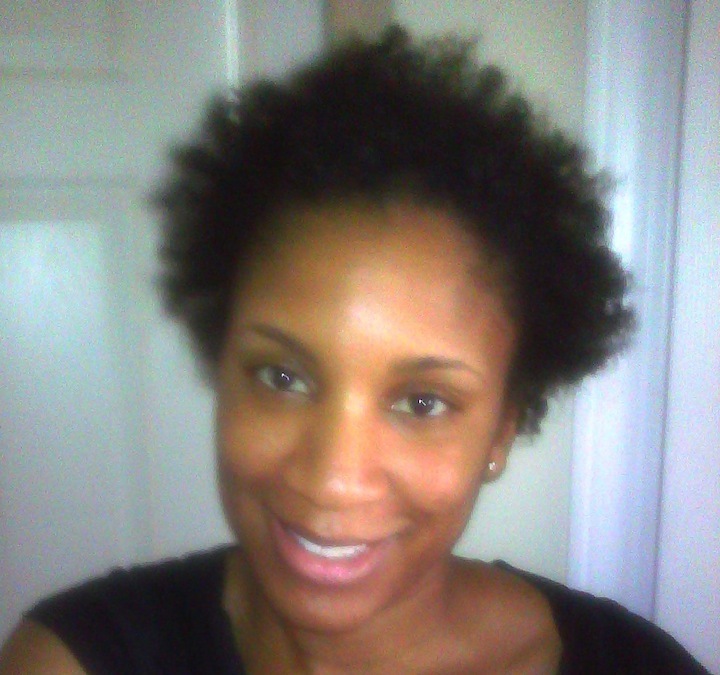 I saw the versatility that natural hair gave you, SO … I did it (I’m sort of compulsive). 5 months. First I cut my hair in a pixie cut and then transitioned for 5 months after that. October 18th, 2010. I took my braids out and started cutting. I won’t lie, I was SCARED. But, I did it. I used to have a great fear of the unfamiliar, but NOT ANYMORE! Honestly, WHAT DID I DO?! (For the first 30 seconds) I Loved IT! 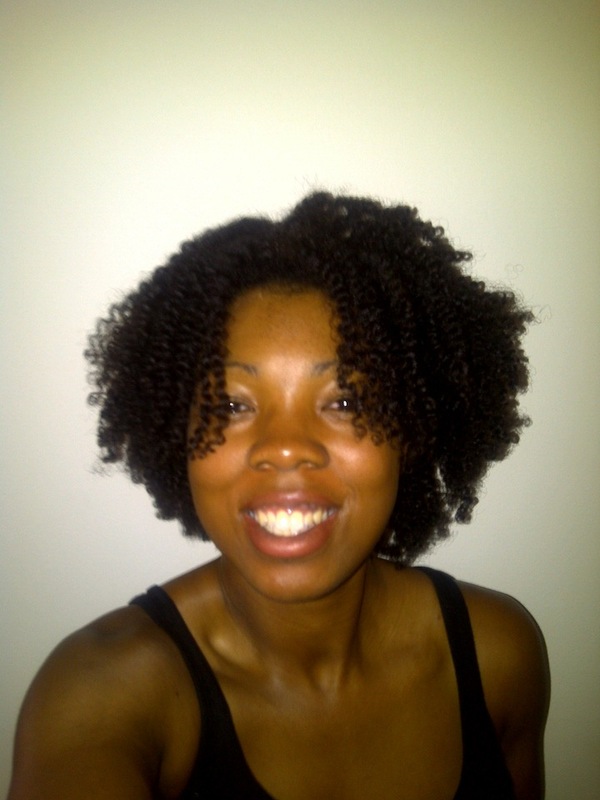 I usually twist or braid my hair after washing, then wear a twist-out or braid out for two to three days. That turns into a puff for about two more days. After that, it’s normally time to shampoo or co-wash.
Growth, Growth, more Growth. And, most of all, maintaining the health of my hair. I’ve recently been having an itch to color my hair, but the jury is still out on that. What, if any, “Hair Crazies” have you developed since big chopping? Not really. None that I am aware of. Yes, of course. Ms.CurlyNikki, Ms.Mae from NaturalChica.com, Ms. Shelli from Hairscapades, Ms. Charyjay of Charyjay.com, Ms. Janelle Monae, Ms. Tanika Ray (Love her hair), Ms. Meechy Monroe and Ms. Tracee Ellis Ross (WOW … That’s a lot, but I love ALL HEALTHY natural hair). Youtubers: CharyJay, Naptural85, NikkiMae2003, KinkyCurlyCoil, MahoganyKnots,Taren916, Whoissugar (LOVE! ), SimplYounique, xGOLDn, MsVaughnT, and Fusionofcultures. I love these ladies’ channels because they promote how to maintain healthy hair that looks GREAT! I ABSOLUTELY LOVE MY HAIR, UNCONDITIONALLY!